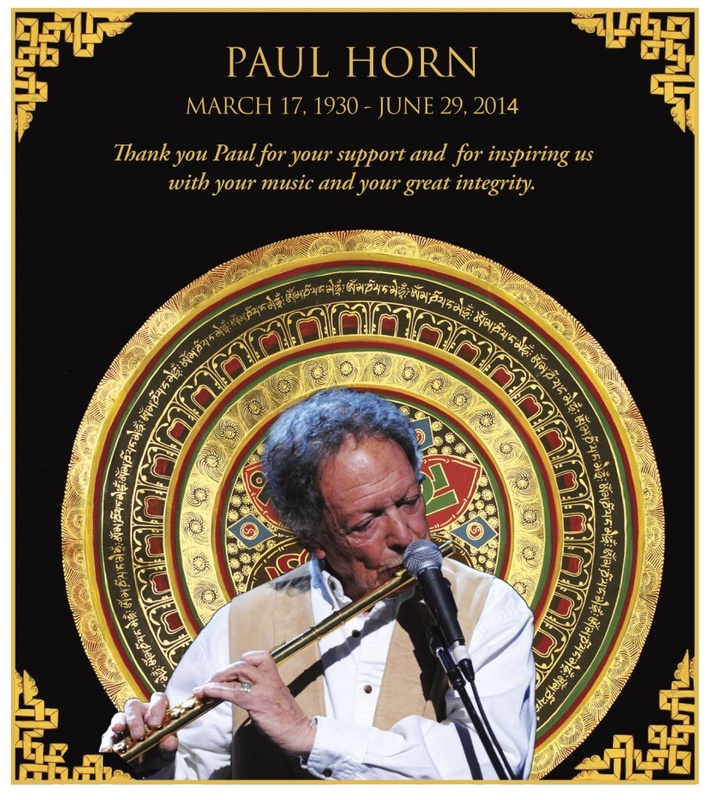 We had many photos, videos and memories to sift through for Paul Horn's memorial last week in Vancouver. There was so much... No matter how long we wanted to make a slide show (the one I made was three hours), we would still have to leave 98% of things in the box. Of those, I ran into a newspaper that we brought home from our trip to the Kingdom of Bhutan. The front page tells of the Kings celebration, which included the concert that we performed for the royal family. I put some of the music from this trip on my music page, "Notes from Bhutan". I'll endeavor to post some of the pictures and stories as we go. I'm happy to have been able to see some of the world, but to see the degree that Paul traveled, performed and touched lives around the planet is really astounding. All we can say is, "Thank you Paul!"